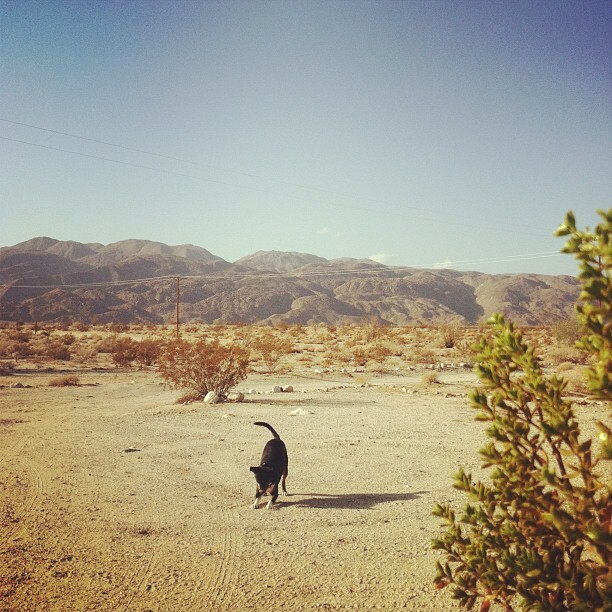 We went out to the desert with friends and spent the weekend relaxing. Even better, we didn't have to pick any cactus out of TBR. Score. He liked it out there, if you can't tell.